The Ancient Indian epic Ramayana tells us that the waters of the sacred Ganges River are endowed with the power to resurrect the dead and cure all ailments. 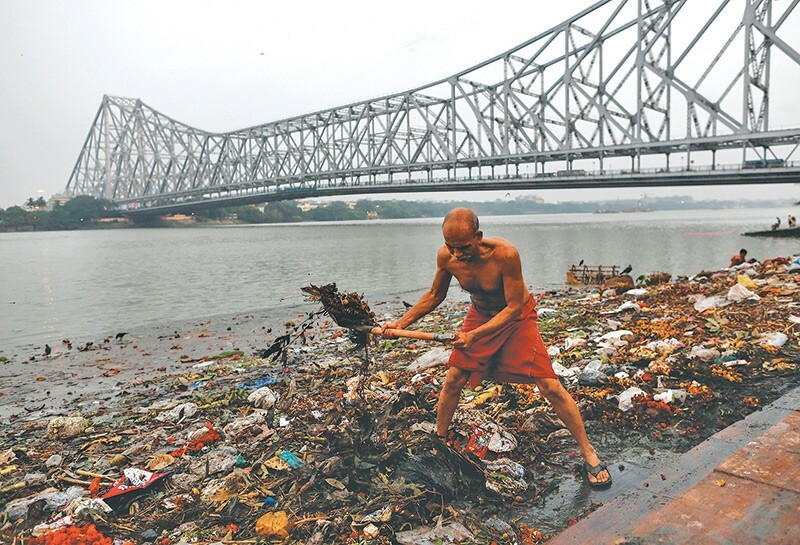 Sadly, the reality is not all that colorful, as India’s biggest river is on the list of the most polluted rivers on Earth. The ritual water burial in Varanasi is only making the problem worse and prevent the purification of the sacred reservoir. 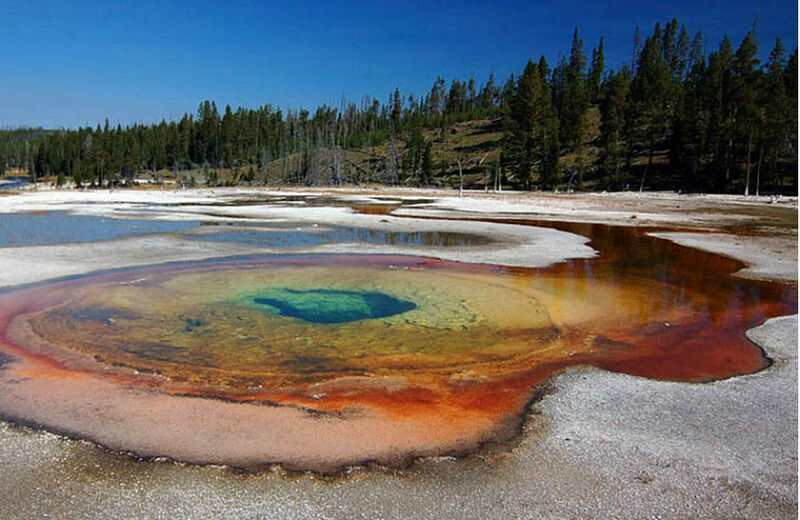 It is strictly forbidden to swim in this lake, because you’ll be quickly cooked alive. 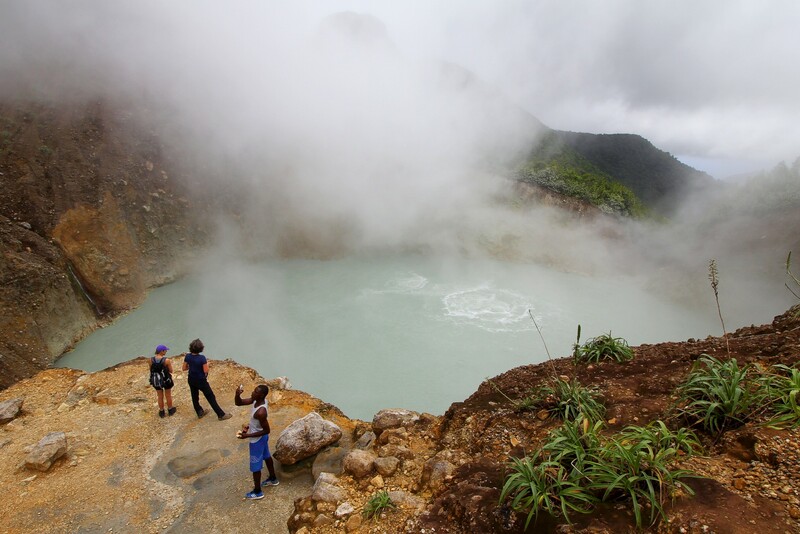 The water temperature in the center reaches 92 ° C and is suitable only for making tea. 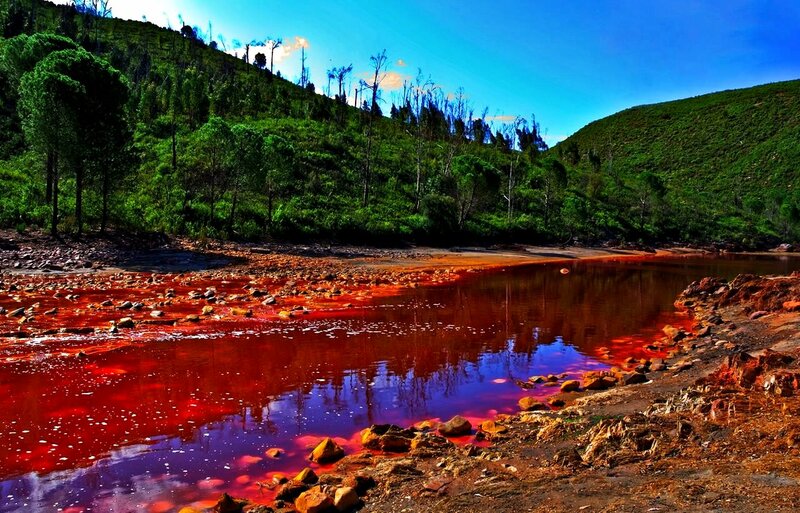 The red, like blood, waters of the Rio Tinto river, flowing in the Spanish provinces of Huelva and Andalusia, looks incredibly gross. 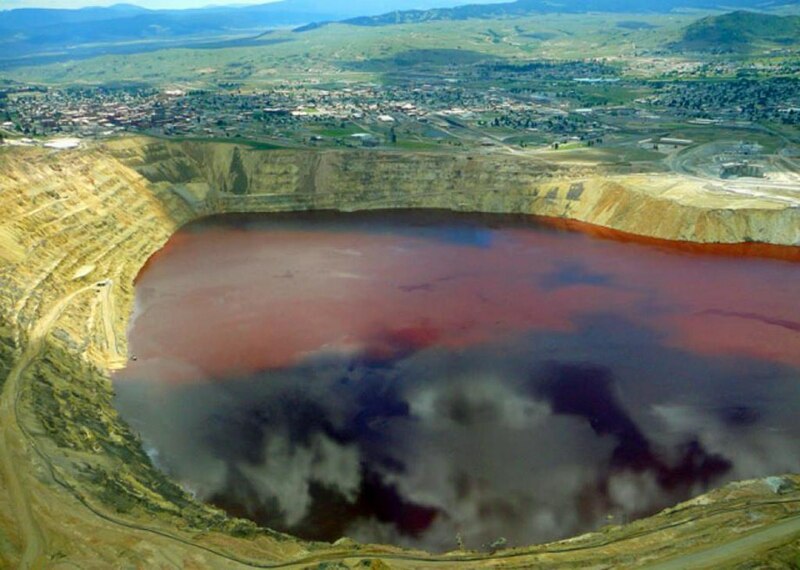 Due to the high concentration of metals coming from copper, silver, and gold mines, this body of water became one of the most acidic places on Earth. With the progress of modern technologies more than a thousand factories have popped up along the shores of the once picturesque river Citarum. The reservoir, which previously served as a source of income for numerous anglers, became home to other hunters – garbage catchers. Dirty water here is teeming with bacteria and is virtually invisible under a thick layer of household and industrial waste. 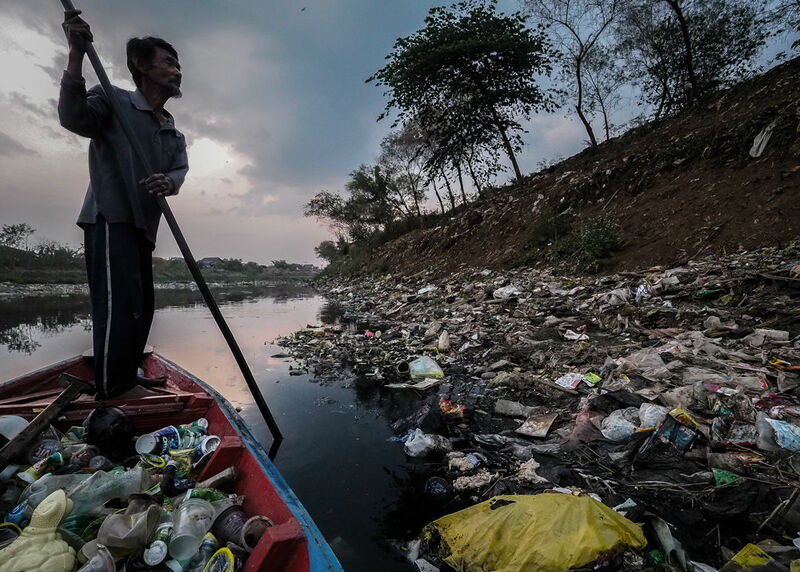 Scientists predict that in the coming years, the pollution of Citarum will reach a critical point and may lead to a halt in the largest hydroelectric power stations in Indonesia. Just one hour spent on the shore of Lake Karachay in the Ural mountains would be enough to die painfully by being exposed to 600 x-rays. That was caused by an explosion that occurred at the storage facility of the fission materials at the Mayak plant in 1957 which caused unprecedented pollution of the Techa river and the cascade of its ponds. 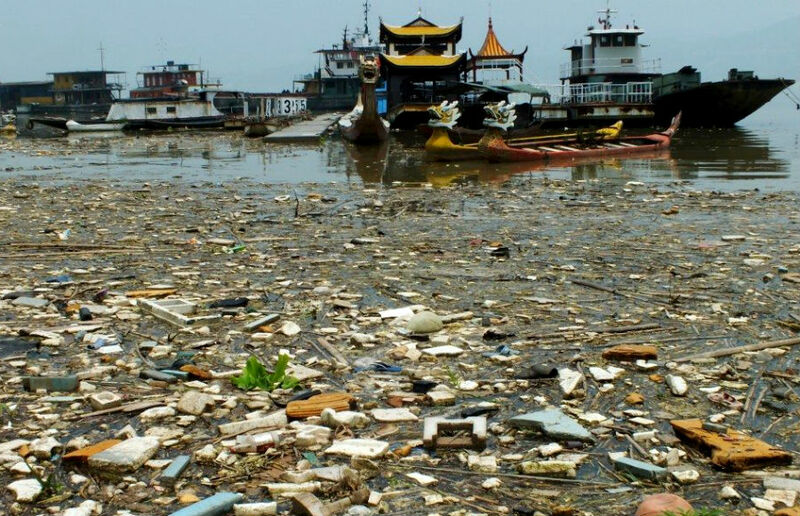 Since 17,000 Chinese settlements located along the banks of the Yangtze River and they do not have the appropriate cleaning systems, all their waste products are dumped into the reservoir without filtration. Numerous chemical plants, steel and oil refining complexes, as well as regular transportation of dangerous materials don’t make things look any better either. Not only is the island of Sicily known for being built near the Etna volcano, and the mafia connections, there is also one very dangerous attraction – the Lake of Death. Its waters are in essence concentrated sulfuric acid and are so destructive that this place, according to rumors in Sicily, was used by Cosa Nostra to dissolve the corpses of their unfortunate enemies.